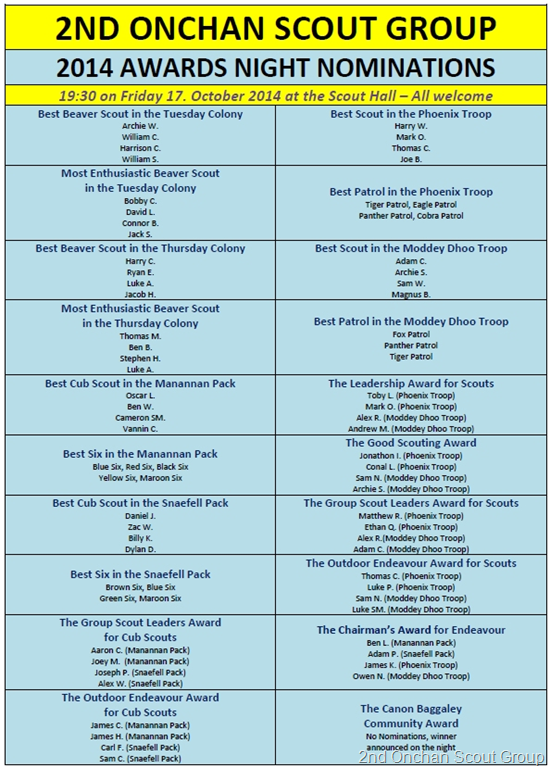 The 2014 Awards Night Nominations are now out. Leaders had a very difficult time deciding who to nominate from their Colonies, Packs and Troops. 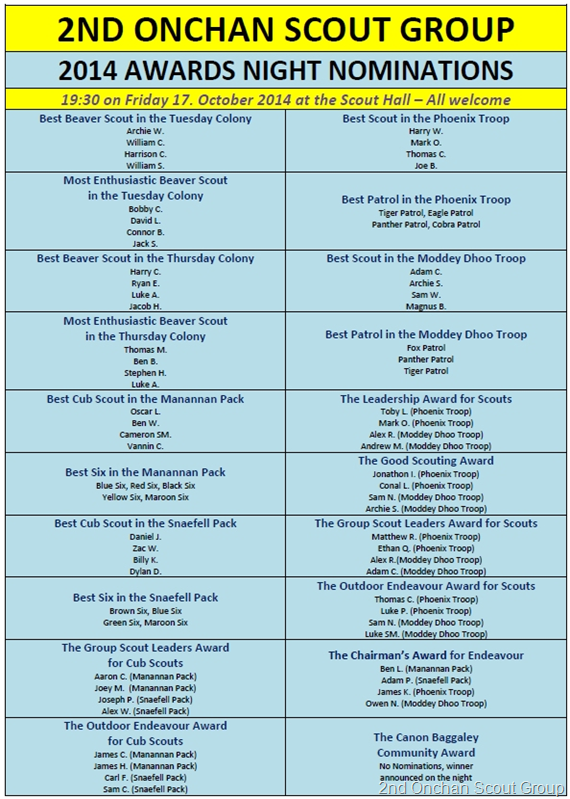 The Awards Night takes place at the Scout Hall on Friday 17. October 2014, starting at 19:30. Everyone is welcome to attend.